Microsoft Corporation to Acquire SOFTIMAGE Inc.
REDMOND, Washington Ð February 14, 1994 Ð Microsoft Corporation today announced that the company has signed a definitive agreement to acquire SOFTIMAGE, a leading developer of high performance 2D and 3D computer animation and visualisation software. The $130 million stock transaction has been approved by the Board of Directors of both Microsoft and SOFTIMAGE. “The market for digital media is growing rapidly and SOFTIMAGE is a technology leader in this area. We are committed to continuing this development of leading-edge professional authoring tools which accelerate the creation of high-quality digital content,” said Bill Gates, Chairman and Chief Executive Officer of Microsoft. “We are very excited at the prospect of combining their expertise with ours,” said Gates. “We share with Microsoft a common vision of the role that authoring tools will play as the digital media marketplace unfolds. Microsoft has a wealth of experience in supporting open operating systems and building great software tools, and we will provide specialised expertise and experience in professional quality digital media tools. We believe that as a part of Microsoft we can more quickly realise our vision,” said Daniel Langlois, Chairman, Chief Executive Officer and founder of SOFTIMAGE. Langlois will continue to head the development organisation located in Montreal, Quebec, which will operate as a part of the Advanced Technology division which directs Microsoft’s long- term technology vision. Under the terms and conditions of the combination plan, each share of SOFTIMAGE stock will be exchangeable for 0.279 of a share of Microsoft stock, with an adjustment factor designed to provide not less than $21 and not more than $24 of value per SOFTIMAGE share. The agreement is subject to the approval of the shareholders of SOFTIMAGE, and the directors of SOFTIMAGE have unanimously agreed to vote the shares they own, which represent approximately 30% of the outstanding shares, in favour of the transaction. SOFTIMAGE (Nasdaq-NMS: SFTIF), founded in 1986, is an innovative developer of high-performance 2D and 3D animation and simulation software. The company markets its sophisticated flagship product for 3D animation, the Creative Environmentª and a complete line of high-end 2D applications, including post- production editing and the integration of visual images, text, sound and special effects technology. SOFTIMAGE products are used by loading film studios, animation houses, broadcasters, graphic artists, product designers and engineers around the world. Founded in 1975, Microsoft (Nasdaq-NMS: MSFT) is the world leader in software for personal computers. The company offers a wide range of products and services for business and personal use, each designed with the mission of making it easier and more enjoyable for people to take advantage of the full power of personal computing every day. In a move underscoring its commitment to digital multimedia, Microsoft Corp said it has agreed to acquire Montreal-based Softimage Inc, a developer of computer animation software, in a $130-million stock deal. The acquisition, the software giant’s second biggest ever, increases by nearly 50% the size of the Microsoft’s 18-month-old Advanced Consumer Technology division, which is leading its efforts to help shape the information highway. The buy is considered very important for Microsoft, which to date has not made any significant inroads in the emerging market for interactive television and multimedia production. Daniel Langlois, the Softimage founder and CEO, will continue to head the development organization, which will operate as part of the Microsoft advanced technology division. Davies is the director of visual research at SoftImage, a high-end computer graphics software group that was recently purchased by Bill Gates in his quest to have Microsoft own everything in North America that the Disney Company does not. 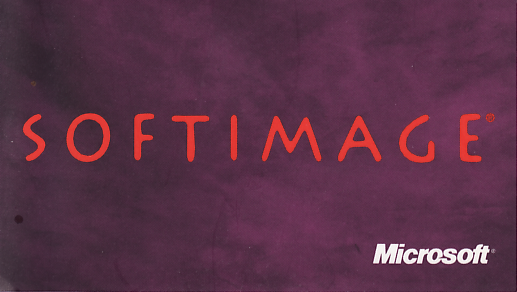 ADVANCES OF THE 1990s In February 1994, Microsoft Corporation acquired Softimage for 130 million dollars. Microsoft’s initial use of TDI technology will be internal, to enhance their multimedia CD-ROM products and interactive TV programs. Microsoft also plans to port the Softimage software over to its Windows NT operating system. This may be the first move in starting a trend for the shifting of high-end graphics software from workstations to personal computers. Microsoft helped to pave the way to Windows NT for many applications by porting the highly regarded Softimage animation studio from Silicon Graphics workstations to Windows NT. For many creators of digital content in the highly competitive worlds of advertising and film, the existence of Softimage on Windows NT has proven the PC is ready for the big time. Microsoft Corp’s SoftImage Inc has opened up the market for its three-dimensional modeling and animation software, Microsoft SoftImage 3D, by launching a version for Windows NT (CI No 2,831). The software, which traditionally ran on Silicon Graphics Inc workstations under the Irix Unix operating system, will now run on any personal computer supporting NT. Montreal-based SoftImage founder Daniel Langolois said the NT system has all the functionality of the Unix-based system, but enables users to choose much lower cost hardware as an option. He insisted that his aim was not to knock Silicon Graphics, but simply to open up choice for the users, and to enable more animators to use SoftImage’s three-dimensional animation software.